"I am altering the deal. Pray I don't alter it any further." 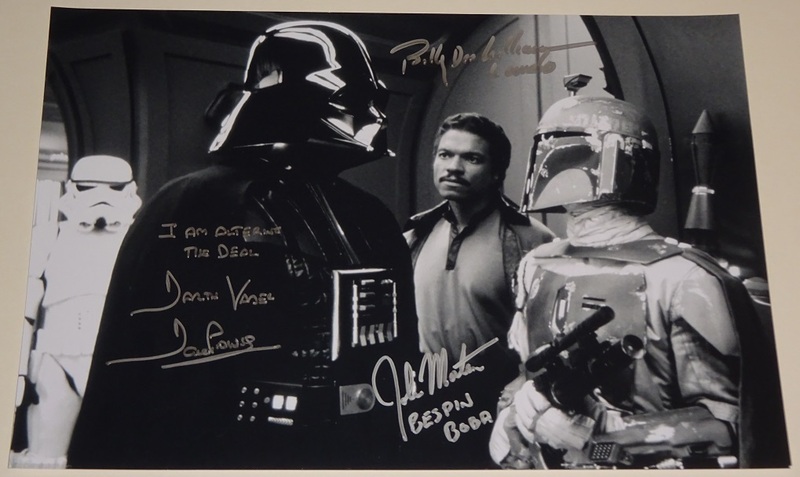 This powerful 15x10 inch photo of Vader talking to the Bounty Hunter, Boba Fett, and Lando on Bespin has been signed by Dave Prowse, John Morton and Billy Dee Williams in bold silver pen. Dave Prowse the man inside the suit, who provided Vader with his remarkable physical presence, has also added a quote. John Morton portayed Boba Fett - everyone's favourite Bounty Hunter in this particular scene and has added Bespin Boba with reference to the Cloud City on which this exchange took place. Finally Billy Dee Williams played Lando Calrissian. 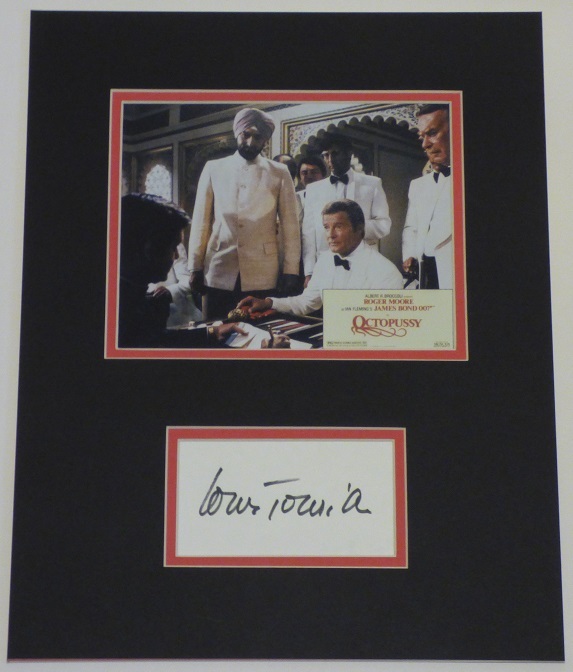 The purchaser will receive full details of where and when this item was signed with photo proof! Darth Vader, Dark Lord of the Sith was the scourge of the Jedi, a master of the dark side of the Force, and one of the Emperor's most trusted servants. He wasn't always a fearsome enforcer, however. He began life as Anakin Skywalker, a young slave from Tatooine skilled in piloting and strong in the Force. Cardplayer. Scoundrel. You'll like him. That was Han Solo's hurried description of his old pal Lando Calrissian. Whilst the description was spot on it barely scratches the surface of the complicated rogue. A faceless enforcer, Boba's distinctive armor strikes fear in the hearts of fugitives. He became a legendary bounty hunter, accepting warrants from both the Empire and the criminal underworld. Fett successfully tracked the Millennium Falcon to Bespin in the Empire Strikes Back and set up a trap with Darth Vader. His reward - the carbonite frozen Han Solo, which he delivered to Jabba the Hutt for a handsome reward. Han was to eventually have his revenge though - sending Fett tumbling into the Sarlacc's mouth.